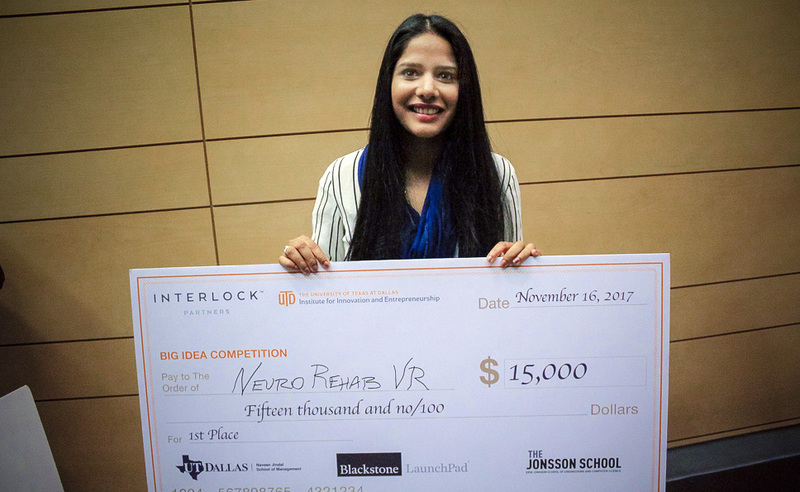 With physical therapy and cognitive training, the brain does have the ability to recover, said Somareddy, who is a Neuro Rehab VR co-founder. The startup has developed three therapy games so far that focus on different areas of the body and brain. Patients at Fort Worth’s Neurological Recovery Center have been using them, but there are plans to expand to five more clinics across the U.S. by the end of the year. 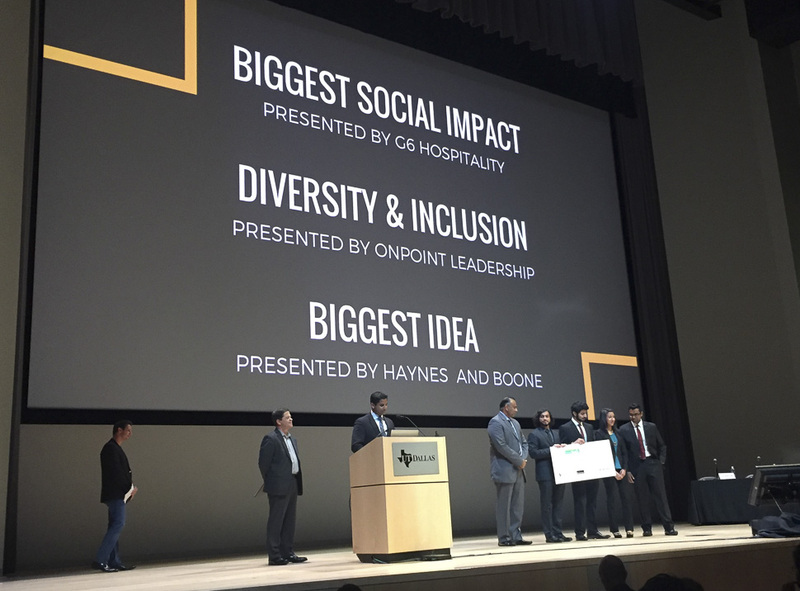 Updated Dec. 18 at 10:28 a.m.
Arun Gupta, founder and CEO of Skyven Technologies at the 2017 Big Idea Competition. 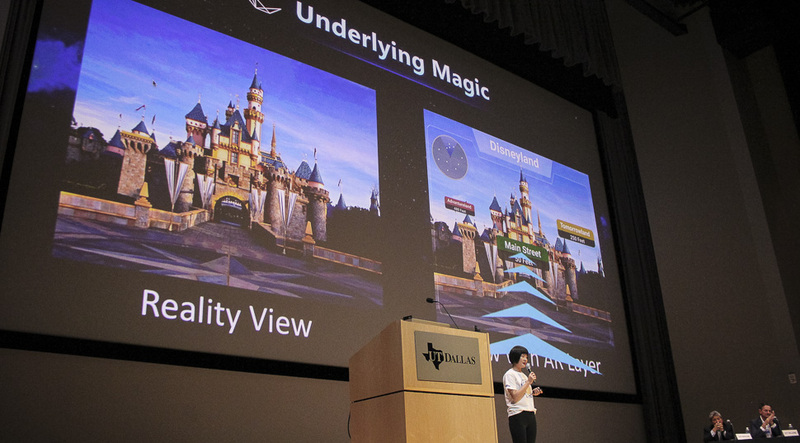 Elaine Wang pitches Cthrough at the 2017 Big Idea Competition. 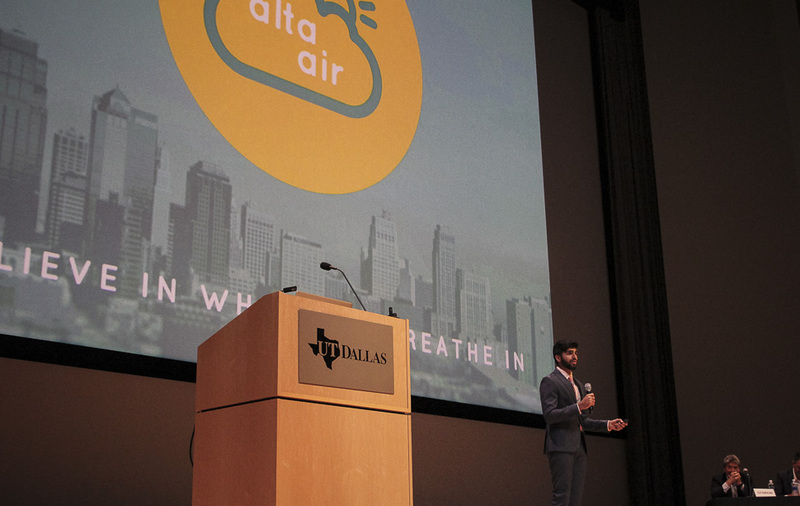 Konan Mirza pitches Alta Air. 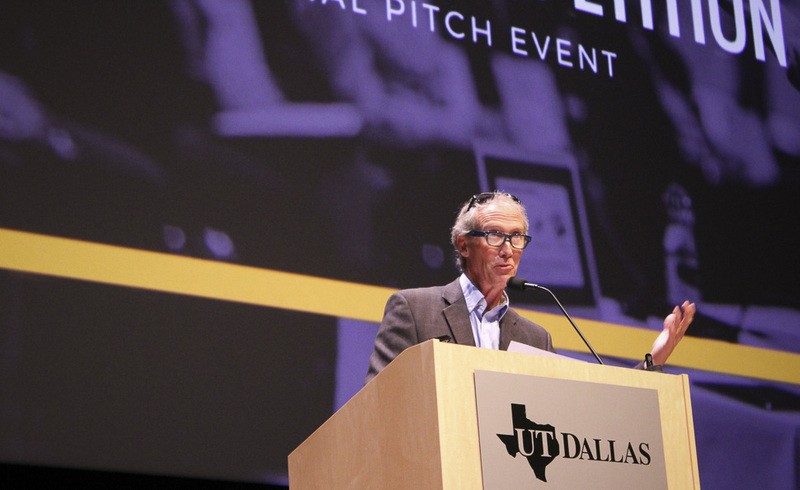 Steve Guengerich speaking at the UTD Big Idea Competition 2017. 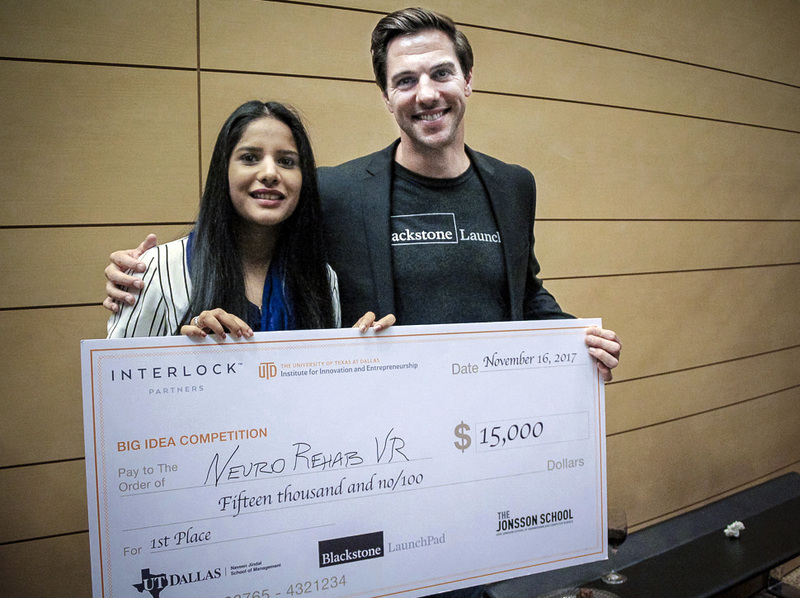 Veena Somareddy pitches Neuro Rehab VR. Photos by Heather Noel and Stephanie Mojonnet.